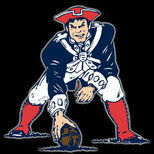 Patriots team has played extremely well at home, that we can use. that's probably game. LAC @ NE should be fun! Gimme the Colts, Cowboys and Chargers as locks of the week, and Eagles/Bears is a toss up. Go with Bears just because. Baltimore should have went to Flacco at the start of the second half. Fun fact: the three other remaining AFC QBs are a combined 0-14 against Tom Brady including the playoffs. Can you believe we let Hicks go? Must have been some sort of cap hell there coz he is Wilfolk mk2. this is what foles looks like when you can actually get a pass rush. would've been handy in the superbowl. Wouldn’t that be something... it very well could happen. The Chargers will be tough, no doubt, but I think quite beatable at Gillette. I’m DYING to see how the other divisional game goes. There are no good match ups in the AFC this year. Every team is good. I will say, I'm not upset that of all the match ups this year we got the most conventional one in the Chargers. Solid team from top to bottom, but we don't have to worry about a running QB or a defenses as bad as the Ravens, or Mahomes pulling rabbits out of his hat with that offense, or the Colts magic going on. Just us vs them straight up is a good way to enter our playoff journey.